There are many reason to really like Tata Motors new cars. We would prefer it over its rivals any point of time. The cars have one of the best interior with features being loaded to the brim and not just your regular stuff, thoughtout, well executed and unique things that actually work and were need of the day. Tata made all new cars with the Zest and the Bolt and gave the best dynamic package, good engines, an attractive styling and now we can see they have been provided with good safety too. Global NCAP just tested the Zest and gave it a four star with the variants that have two airbags. However, the variants without the airbag score zero stars. Most variant that are out in the market come with airbags, which should good news for most customers. Tata has said that they will roll out changes made to the structure of the car to all the variants. Global NCAP is now forcing Tata to make sure they equip every variant with the airbag as airbag dramatically improves the safety of the car as the structure is already rated well. 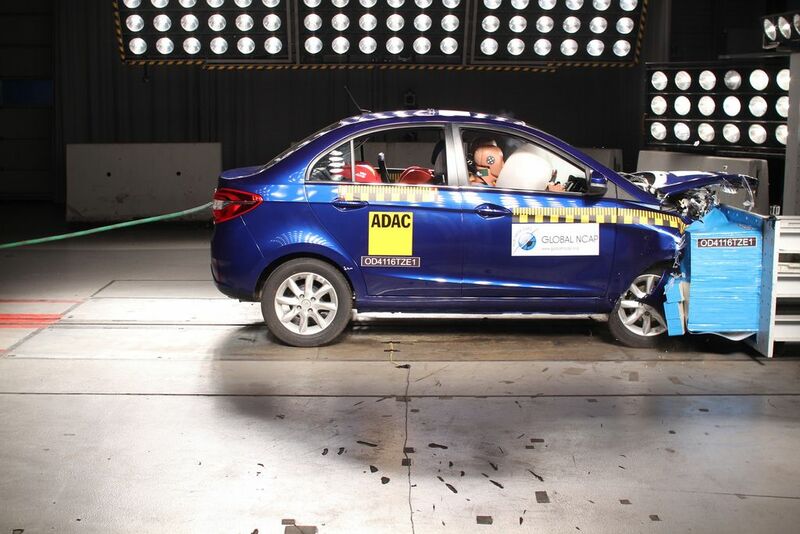 Tata is being applauded by the Global NCAP and other critics in the industry to provide safe cars to the Indian market. As we know Tata is one of the few manufacturer in India who has a internal safety testing facility which meets all Indian norms that are present right now. Meeting global standards now? Is a great achievement indeed for Tata Motors. With numbers doing well thanks to fleet market sales, the Zest does find quite a few private homes as well thanks to its feature loaded list, diesel automatic, turbo-petrol on offer along with that, now comes this new approved safety which is rarely found in its competitor, period.